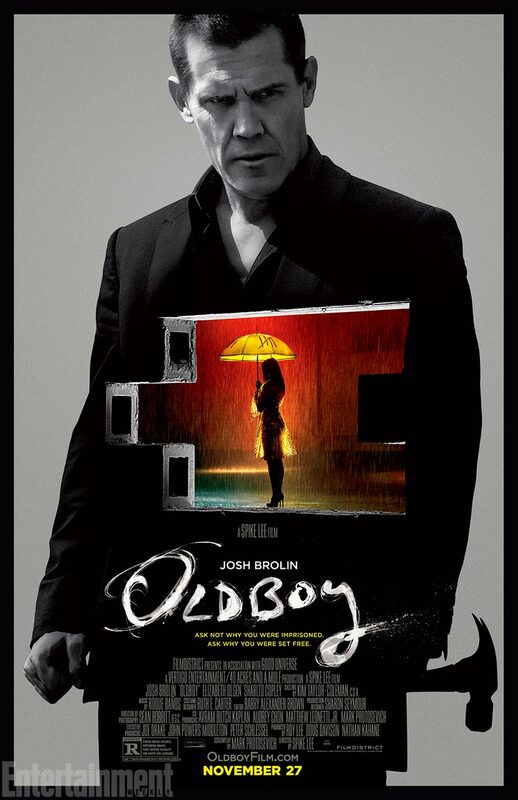 Oldboy (2013) – Don’t judge before actually seeing It! A man gets kidnapped. Shut down from any kind of civilization and no one to talk to, he only has a TV that delivers him with news from the outside world. Twenty years later, without warning he gets set free. Enjoying his freedom he has to realize that this game he is unwillingly participating in has actually just started. With all the bad publicity Spike Lee has made for himself over the past months, it was no surprise that this movie wasn’t a success. Mr. Lee has drawn some attention by tweeting an address that was supposed to be George Zimmerman’s but turned out to be the one of an old couple who could have been seriously harmed. Another outrage caused his negative prejudgment of Quentin Tarantino’s Django Unchained without even seeing it. It was more than obvious that he envied Tarantino’s success. Me, I have seen Django and I am one of the few people that didn’t enjoy it, but I have seen it, and can therefore honestly say, it was simply not my cup of tea. But maybe I give more details on that some other time. Back to the movie. I have only seen bits and parts of the Korean original, and I know it’s a shame, because it is considered a classic. But I can assure you that Spike Lee’s version is not a cheap or stupid copy. The only scene that seemed like a copy to me was the epic fight, where the protagonist fights about 50 people at the same time. I loved both. Each version has its own style and tone. While the original from 2003 is very colorful, over the top, even funny sometimes, the remake is very settle and dark. On top of that I think the new Oldboy is much more violent, and even had moments where I had to turn away. The camerawork seems straight forward, and the leading actors Josh Brolin and Elizabeth Olsen convince. However, the editing was not the best I have seen. For example, in a bar scene- cut, people that have been there in the previous shot are suddenly gone. If you don’t pay attention to these things you won’t even be bothered. But sometimes these little errors tend to freak me out. Another thing that seemed off to me was the appearance of Chaney (Samuel L. Jackson) and Adrian (Sharlto Copley). While the whole movie seems rather dark and gritty, they both look like characters from The Hunger Games. Very odd. Spike Lee took another turn for the ending as well, which I personally didn’t mind. It went a little deeper than the conclusion of the original. None of the movies went deep enough into development of the main character. I wish we would have seen more of his inner struggle reconnecting with society. After all he has been living in solitary for 20 years. All in all I think Spike Lee’s Oldboy is an entertaining action thriller that kept me interested and clueless until the end. The Korean version seems more artistic and creative, but if you hate subtitles or the outrageousness of Chinese/Japanese/Korean cinema you can’t go wrong with the 2013 movie. Beware: violent, twisted and especially towards the end a little disturbing. Crisis (2013- ) – Another winner for NBC? I didn’t know there was an original until after I saw this. I thought some parts and the twist were disturbing but this wasn’t the worst movie I spent money on last year. Also had to say I did see Django, thought it was good but not great. Good review! It was a good movie, but I’ve only seen it once and haven’t been temped since. I will probably check it out this weekend! 😀 Have you seen it yet? Just like Carrie, I think this had too much negative going in its way! Though I love the original with all my heart, this one wasn’t all that bad to begin with. Unnecessary? Sure, but still interesting in brief ways? Definitely! Good review.